The Airport Inn Gatwick Airport is a 3 star hotel about half a mile from London Gatwick Airport offering attractively priced long stay parking combined with an overnight stay at the hotel. A choice of long term car parking options are offered subject to availability. The Airport Inn is the closest off-airport hotel to Gatwick’s passenger terminals offering a frequent chargeable 24-hour shuttle service which is used for the parking options where your car is left at the hotel. A very large Tesco Extra supermarket is just 5 minutes walk and a 15 minute walk or short local bus ride is Horley town centre with an abundance of restaurants and pubs. Parking at the hotel - transfers to and from the Gatwick Airport are by hotel shuttle bus running every 15 minutes, 30 minutes during the early morning hours. The bus was last advised as costing £3 per adult with reduced fares for children under the age of 16. A Meet 'n' Greet option - Your car will be collected from the hotel on arrival so you'll need to leave your car keys. It will be moved to a secured off-site car park close to the hotel and delivered to you at the in the approved area outside the terminal on return. Use the hotel shuttle detailed in the parking at hotel option to get to the airport from the hotel. Rooms: at the Airport Inn Gatwick Airport have air conditioning and tea/coffee making facilities. All rooms have a 32-inch flat-screen TV with satellite channels and a work desk. The en suite bathrooms include free toiletries and a hair-dryer. 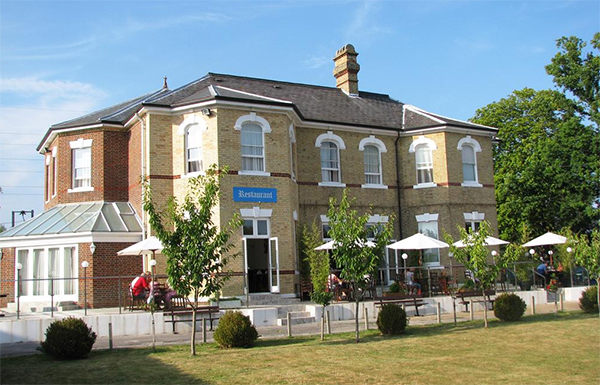 The Airport Inn Gatwick has a restaurant and lounge bar, offering traditional British cuisine and 24-hour room service. Cooked breakfasts are served daily from 6am until 10am. A range of cereals, fresh fruit, toast, tea and coffee is also available.